Aldrich Builders was created in 1980 by Michael J. Aldrich. Throughout the years the company has developed many wonderful relationships while working with their clients to realize their dreams. Thousands of projects, new homes renovations, kitchens and baths, decks and landscaping have been designed and constructed. All projects have brought increased value to the properties as well as increased fulfillment to the clients. Aldrich Builders has played a part in the Downtown Development with many projects constructed or renovated. Multi-family and other developments have also been constructed. For Michael and his team at Aldrich Builders, there is no challenge too great! The team is here to assist in the development and the creation of dreams for all of their clients. Michael is the owner of Aldrich Builders, which he has operated since 1980. 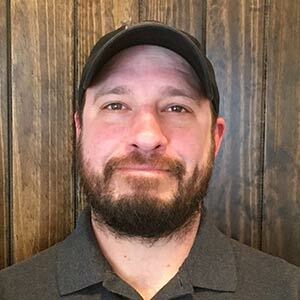 Michael is known for his project management skills in accomplishing numerous residential projects in the Estes Valley such as new homes, renovations, as well as condominium projects and subdivisions. Commercial projects include many renovations in downtown Estes Park. Renovation of the Stanley Hotel Manor House and Hotel stand out as highlights. Michael moved to Estes Park in 1965 with his family and is a 1973 graduate of Estes Park High School. His father, Norbert L. Aldrich, was the owner of Alpine Pharmacy and the Stanley Village Pharmacy here in Estes Park. Norbert also served the community on several boards including the Town of Estes Park. Both of Michael’s sons are Eagle Scouts. Jon is the owner of Aldrich Construction in Steamboat Springs. Jeremy is in the computer science field. Michael was influential in 26 young men becoming Eagle Scouts. He has been active in the Boy Scout Troop 8 for 17 years and Scoutmaster for 11 of those years. He is also an active member of Estes Valley Sunrise Rotary and currently serves as president. 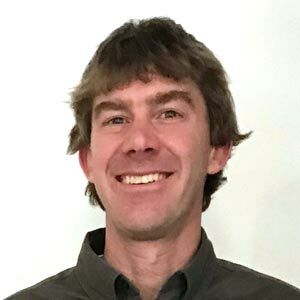 Michael is an affiliate member of the Estes Park Board of Realtors and takes seriously his involvement in the lives of those in his community. Michael enjoys building a personal relationship with his client to assist them in developing the dream for their residence. This begins with reviewing with the client and/or realtor the purchase of the home or building lot. This would include reviewing home inspection reports and reviewing the needs of the client and comparing it to the possible property. Preliminary design and estimates are often provided. Michael takes charge of the design and budgeting process. He provides leadership and involves his team early in process of providing a detailed estimate. Michael’s leadership results in a project that runs smoothly and flows well per schedule and within the estimate. All revisions are discussed and initiated per the client’s direction. Michael takes on challenges and handles surprises quickly and effectively on behalf of the client. The result is an enjoyable experience. Michael is indeed magical and loves developing and creating the dreams of his clients. Joe Niemuth attended Greenville College in Illinois where he earned a B.S. in Environmental Biology. He moved to Estes Park in 2003 and began his career as a carpenter. His carpentry experience includes all facets of construction from framing to finish trim work. 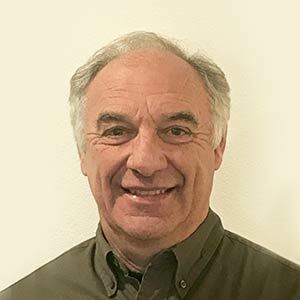 While living in Estes Park, Joe has had opportunities to be employed by Rocky Mountain National Park, several small residential construction companies and a surveying and engineering company. These experiences have contributed to his knowledge, skills, and understanding of quality building methods and navigating challenging situations. Joe moved into a supervisory role with Aldrich Builders in 2013 as a Project Manager. He has supervised numerous projects ranging from residential remodels, additions and new home builds. He has been in his current position as General Manager since 2017. Joe is a dedicated father, who enjoys spending time with his family taking them on adventures outdoors. He also enjoys running, biking, camping, skiing, hiking, and gardening. He also continues with woodworking projects in his garage, where he delights his wife and kids with his creations. Dave Williams grew up in California and moved to Colorado in 1992 and to Estes Park in 1994. 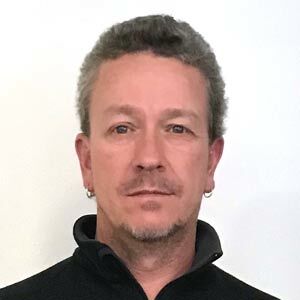 Dave Has worked on several phases of construction including the management of the largest custom home painting company in the Estes Valley for over 20 years. Dave joined the Aldrich Team early in 2017 as Project Manager. Dave enjoys the process and the development of the projects and driving the bus till completion. Dave also enjoys spending time with his three children, fishing, mountain biking, and camping. Jason Hilton grew up in North Carolina and moved to Estes Park in 1999. As the oldest son of a carpenter, Jason has been in the construction industry for as long as he can remember. He worked for a small construction company in Estes until he started his own company – Hilton Construction in 2005. He ran a successful carpentry business working on new builds, remodels and additions for 12 years. His skills as a carpenter and his ability to solve complicated building problems helped him earn a great reputation in the building community. He has a good working relationship with the county building inspector and is knowledgeable in all aspects of building from design to finishes. Jason began working with Aldrich Builders as a sub-contractor in 2012 and was really impressed with both their building quality and business ethics. He was invited to join the Aldrich team as a project manager in 2017. Jason is a husband and father of two who loves nothing more than spending time with his family. He is passing his love of carpentry on to his young sons who “helped” in the building of their own home in Estes Park in 2014.